Will you be celebrating this year’s Independence Day in the mountains? Look no further than a Gatlinburg 4th Of July. 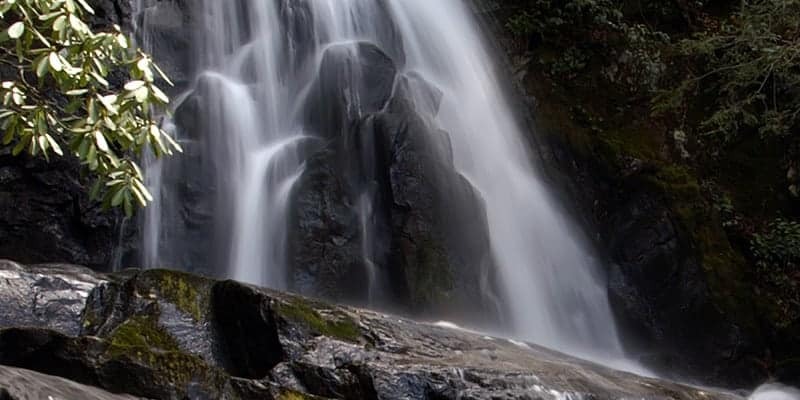 The quaint, eastern mountain city that serves as a gateway to the Great Smoky Mountains National park, is also known all over the nation as the town that celebrates Independence Day earlier than anyone else in the U.S. The “4th of July Midnight Parade” is celebrated here every year on July 3rd right when the clock strikes midnight. Kicking off Independence Day celebrations, this midnight parade will enter its 41st anniversary this year, and will honor U.S. military veterans and American heroes. Get there early! The expected amount of visitors to Gatlinburg on July 4th weekend tops the 100,000s, so make sure that you bring a chair, plenty of fluid, and find yourself a cool, shady place to enjoy this fabulous celebration. Local residents suggest that you start looking for a good spot as early as 7am on the morning of July 3rd and make a day of it! Food trucks, vendors and performances will entertain you the entire day until it is time for the big parade. The Gatlinburg 4th of July midnight parade has a set route that usually starts on the first traffic light, #1a, on East Parkway. It then turns south in the same Parkway until it reaches light #2. The rest of it follows the downtown street until it reaches traffic light #10. This one is located at Ski Mountain Road. If you are a night owl and wish to stay awake to continue to enjoy the celebrations of the actual July 4, feel free to do it. There is a lot more to do. For a fun-filled and challenging activity day that the entire family can enjoy, check out this year’s River Raft Regatta. In this event, anything that floats can be entered to compete. Here is the catch: This is an unmanned regatta, meaning that anything, literally, can happen. The competition will start at 12 noon and you can enter the same day, starting at 10 a.m., in any of two categories: Trash or Treasure. The “Trash” category consists on floating devices that are not hand-made. Store-bought boats, rubber ducks, and things of that nature would fall under the “Trash” category. The “Treasure” category is made of floatables that are hand-made. In this category, creativity is key, so participants usually display their craziest and wildest ideas to represent their talent and taste. There will be trophies given to the top 3 participants in each of the two categories. There is also a special award selected directly by the Judge. He or she is who ultimately decides which is the most creative floatable. Awards are also given to participants by age groups, often selecting the oldest and the youngest participants of the year. Next up in the Gatlinburg 4th of July weekend calendar of events is the traditional fireworks display. A colorful and huge show can be seen all over the downtown area. Get there early enough to make the most of the night downtown. The actual show starts at 10p.m., ending with a super finale that is famous for its views. The locals say that the display is large enough to be seen by anyone either visiting or staying in the downtown area, so there will be no need to try to get a perfect spot. All spots are visible from downtown and accommodations. For your Gatlinburg 4th of July weekend, take some time to get a trolley tour so you can see the decorated houses and businesses proudly showing their American pride and all ready for the midnight parade and fireworks. Also, be sure to check out the galleries and museums, city tours, and trolley transportation that lets you view the city from different angles. 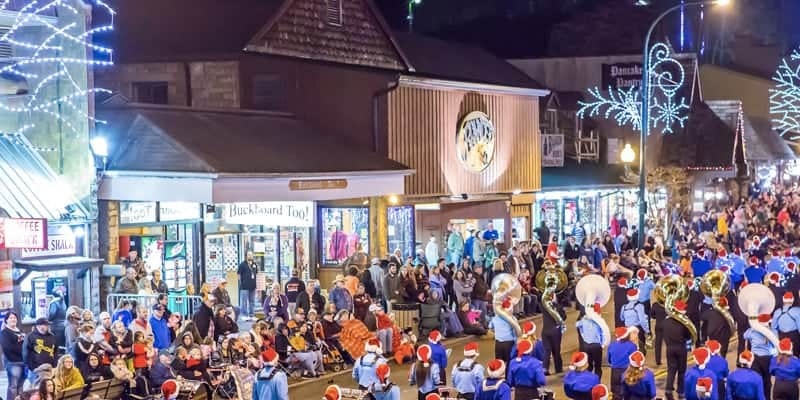 As a popular, eclectic, and highly visual city, Gatlinburg offers goods, services, entertainment, educational experiences, and security all over town and all year long. The main streets are always buzzing with walkers looking for great dining experiences, taking photographs of the beautiful surroundings, and even planning wedding packages using the historical town as its backdrop. Yes! Gatlinburg is for lovers, too. Make your Gatlinburg 4th of July celebration a whole weekend getaway and see what the city has to offer. If you decide to visit Gatlinburg earlier than Monday, July 4th, you may want to check out the Gatlinburg Farmers’ Market. It opens on May 14th, but will be operating every Saturday, including July 2nd, from 8:30 a.m. until noon. The market will be set at the Covered Bridge in the Arts and Crafts Community located at 849 Glades Road. Local farmers and vendors will have anything you want or need, from fresh meats straight from the farm, to raw honey, eggs, cheeses, vegetables, artisan breads, arts and crafts. You may also find demonstrations of artistic skills, cooking, street performers, and jewelry making. Although a majority of vendors have the technology to accept debit cards, it is always suggested to bring cash to pay for your purchases to ensure speedy and swift transactions. Summer 2016 will mark the 11th season of the Smoky Mountains Tunes and Tales. This 11-week window of daily events takes place throughout the end of July in the downtown area. Most performances start at 6 p.m. The weather is tame and fresh at this time of the day, which lets you enjoy the pedestrian town to its fullest. You will see musical performances throughout the streets of the area, as well as storytellers, poets, and even portrayals of historical characters from different periods in time. This means entertainment for the whole family, free of charge, and with the chance of getting to know many of the other amazing restaurants, businesses, and activities that you can enjoy during your visit to Gatlinburg. There has never been a better way to get to know the city in-depth.